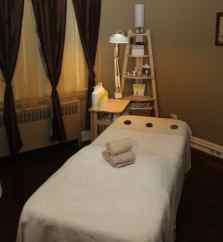 Elysian Medi Spa is a Day Spa located in Niagara Falls, ON. We offer a range of wonderful services for your personal care needs. 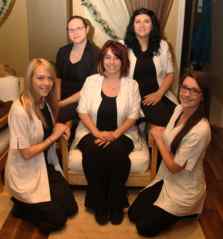 A variety of spa services are available from our highly trained staff of beauty and personal care professionals. 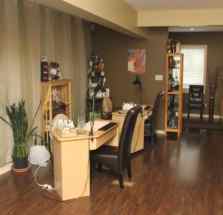 Relax and let our friendly, easy going, professional staff make you feel at home. We want your experience to be memorable so just come in and be yourself. Elysian has built many friendships and we look forward to building one with you. 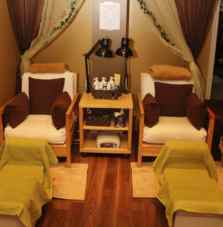 Elysian Medi Spa,formerly Elysian Spa and Salon, has expanded their spa to a whole new level. After extensive training, they are proud to offer Sharp Light™Laser Hair Removal and Laser Skin Rejuvenation Treatments. Hair removal is achieved using our unique smooth-pulse technology, with minimum discomfort. The safe, reliable and effective aesthetic treatments are non-invasive for permanent reduction of hair. Suitable for any body area and size. Skin rejuvenation treats sun-damaged, environmentally-polluted and aging skin by coagulating blood vessels, eliminating pigmented spots and improving skin texture. Skin rejuvenation treatments are suitable for the face, neck, chest and hands and leave no signs of skill irritation after treatment. Visit Elsyian Medi Spa to achieve the beautifully smooth skin you deserve, call for an appointment today!.